Wow! That is what everyone is going to say when they will see you wearing this gorgeous, stunning piece of jewelry. Purple shade anytime makes you feel royal and rich. 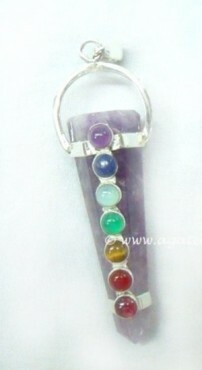 Amethyst pencil chakra pendant will activate all the chakras. This pendant will give you a sense of unity, serenity. Let Agate Export get this eye-catching pendant only for you.